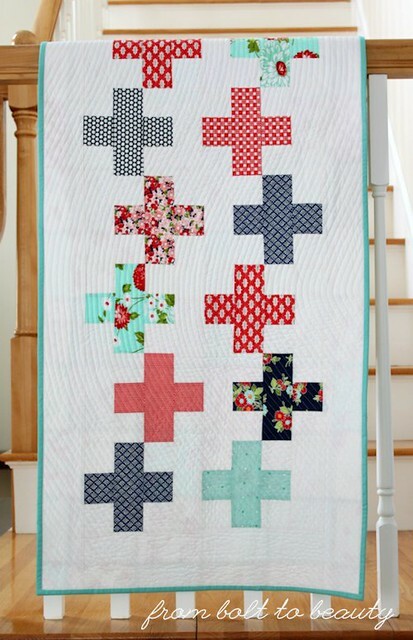 I am no stranger to plus sign quilts. I’ve made a bunch of them, and some of my favorites were created by quilt designer Cheryl Brickey. 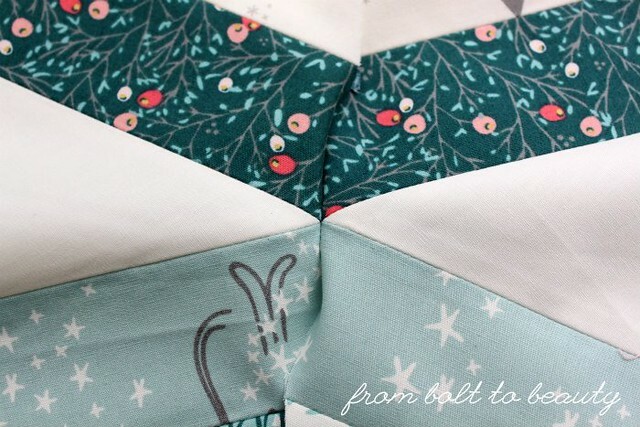 Maybe you remember my Outlined Plus quilt or Birds in Blue project? Both of them were designed by Cheryl. 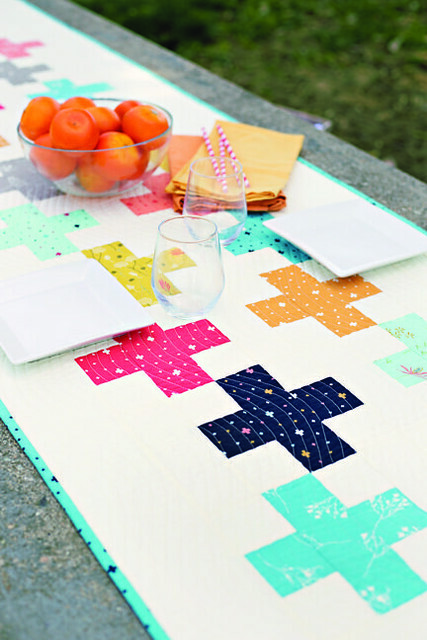 Recently, Cheryl teamed up with Paige Alexander, of Quilted Blooms, to write Modern Plus Sign Quilts: 16 Dynamic Projects, a Variety of Techniques. I knew before I opened it up that this book would offer unique designs and well-written patterns. It did not disappoint! 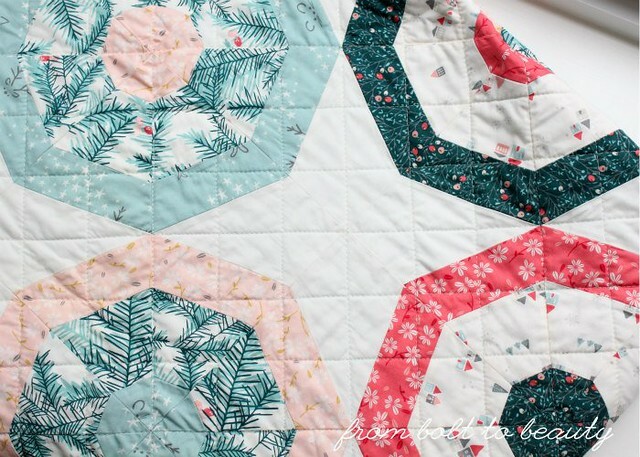 I stayed true to the original—designed, pieced, and quilted by Paige—choosing a light background color (my beloved Kona Snow) that would highlight some carefully chosen fabrics for the pluses. Then I dove into my Bonnie and Camille stash to assemble a modern version of the traditional red, white, and blue Fourth of July palette. I’m delighted with how it turned out! This is Paige’s original, from the book. Photo courtesy of C&T Publishing. All those angles in the pieced quilt top needed some softening, so following the instructions in Jacquie Gering’s Walk book, I quilted a large, soft S-shape diagonally on the runner and then echo-quilted out from there. It was a fun break from my usual straight-line quilting and was surprisingly forgiving. 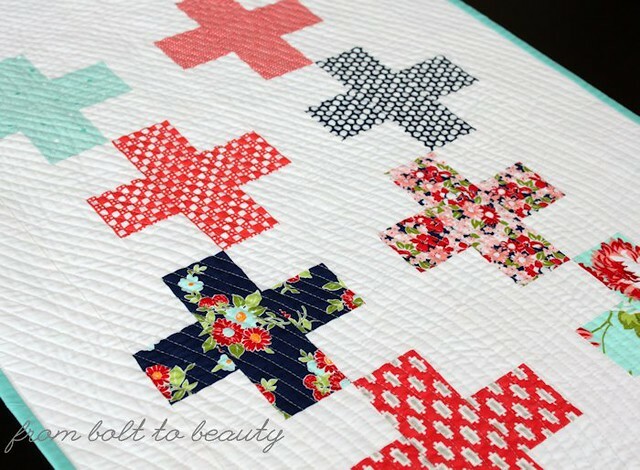 I experienced the usual pitfalls with this project—trimming threads I was supposed to bury, unpicking and resewing a binding that should have been easier to finish, scrubbing off schmutz that I managed to get on the quilt top. (Ack!) It all worked out in the end, though, and I’m excited to give this summery runner to my friend in a few months. 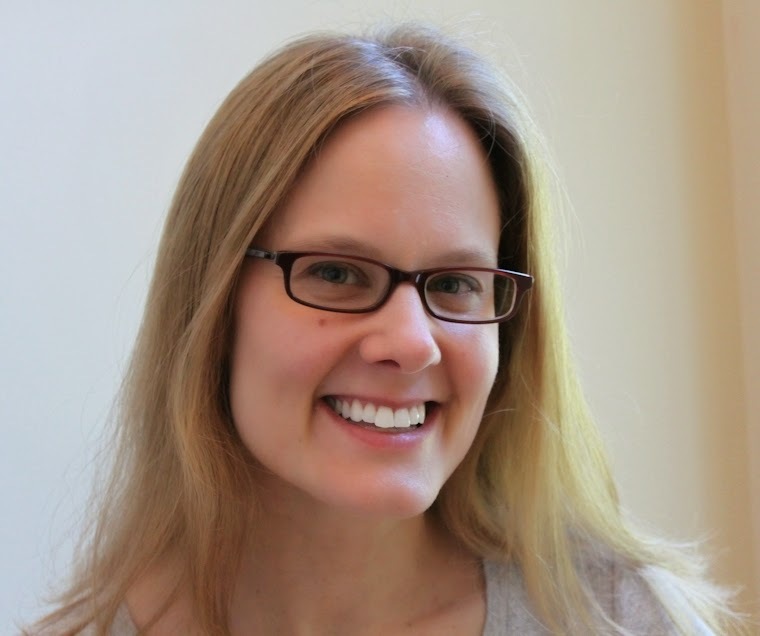 The blog hop for Cheryl and Paige’s book continues through March 23rd. 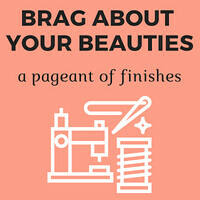 Be sure to check out other bloggers’ plus sign finishes and visit the authors’ blogs for daily giveaways! 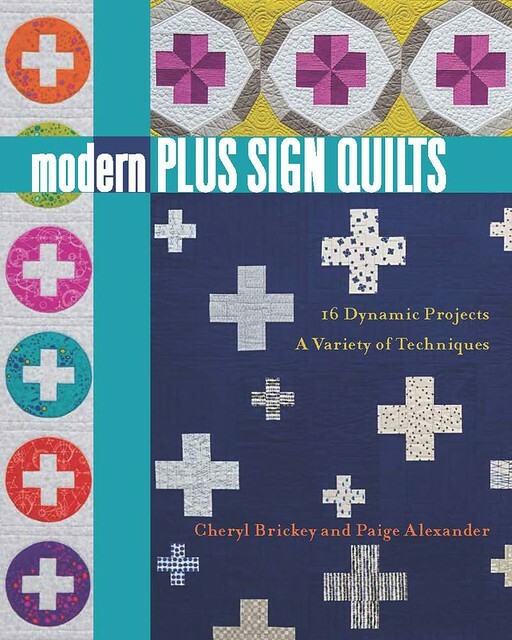 You can purchase your own copy of Modern Plus Sign Quilts here, and both Cheryl and Paige are selling signed copies in their Etsy shops. 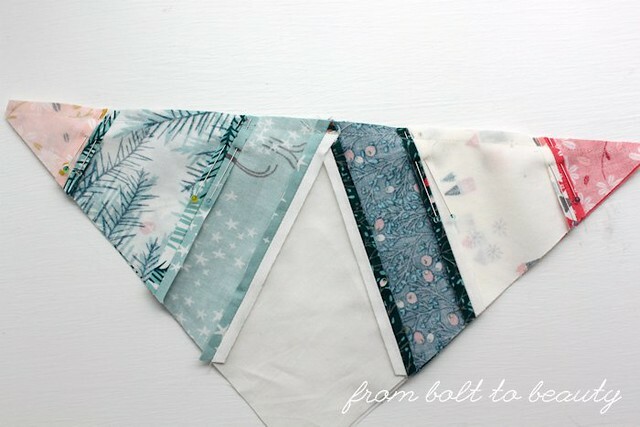 Hello and welcome to From Bolt to Beauty! 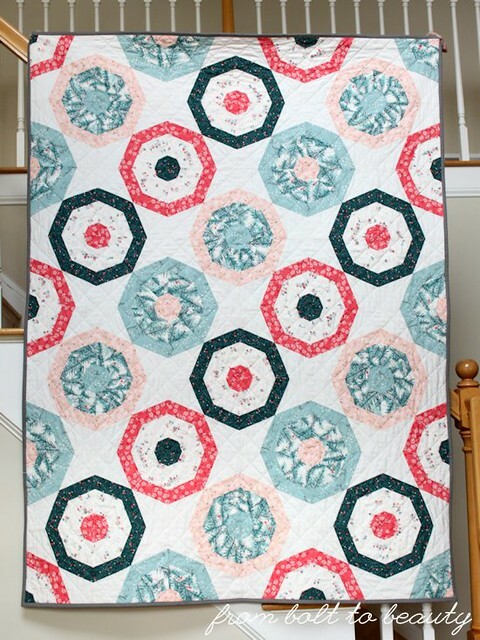 If you’re new to these parts, I’m Michelle and I quilt a lot (like, more than I will ever admit to my husband). 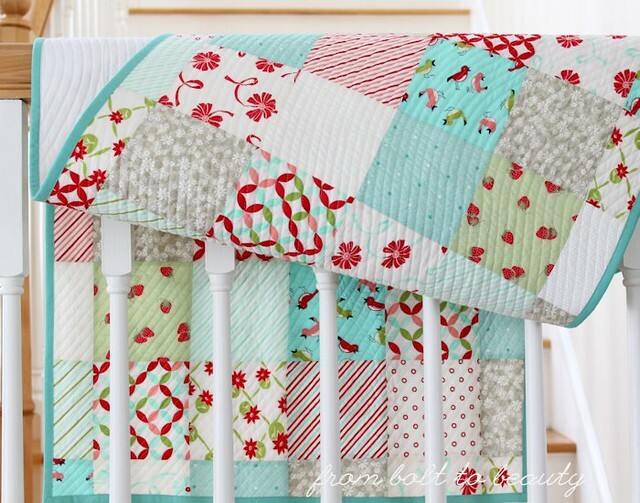 I was so pleased to have the opportunity to work with the Fat Quarter Shop and Art Gallery Fabrics recently to sew my own Odori quilt, a free pattern and tutorial that uses a specialized ruler to make spider webs. Here is my Odori, all quilted and bound and ready to be used. Beautiful, right? For this project, I was allowed to choose any Art Gallery fabric I wanted. 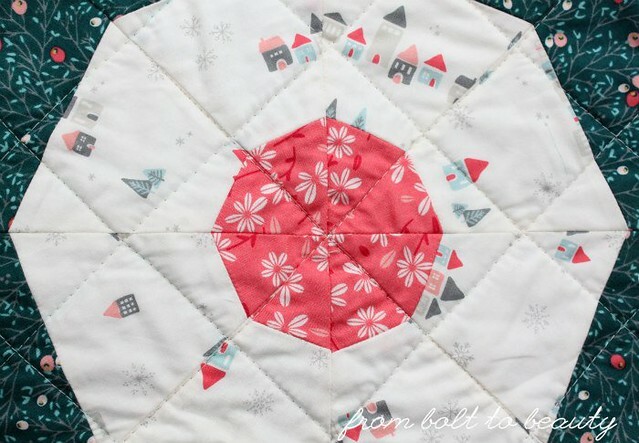 I love AG—the colors, the variety of designs, the super-soft hand—and it didn’t take me long to home in on Amy Sinibaldi’s Little Town collection. I have a weakness for Christmas fabric, and Little Town’s tiny houses and pine needles have a longer shelf life than other Christmas lines. 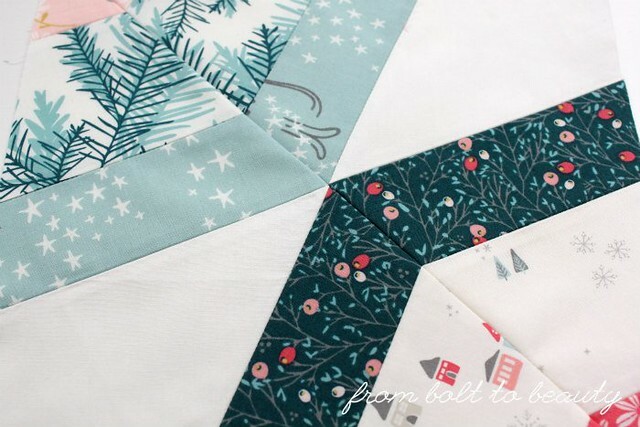 Its palette contains gray-blues and pinks that, I think, will allow this quilt to be displayed and used from Thanksgiving through Valentine’s Day. 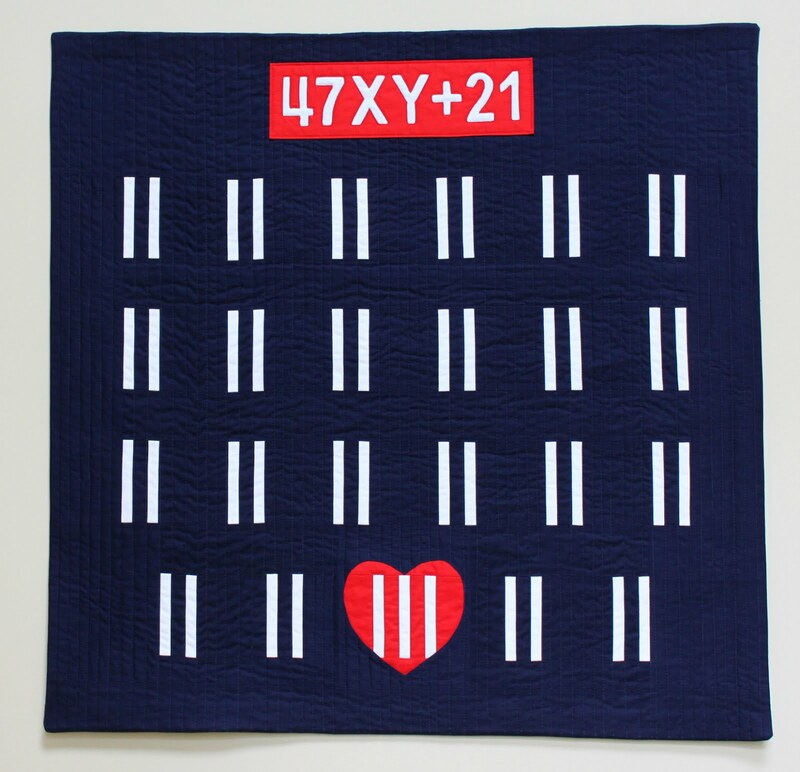 I often gift the quilts I make, but I may have to keep this one for me (even though I just made a Christmas quilt for my family)! I quilted this project with an all-over two-inch grid. 2. Open up the block to see how the points line up. If you aren’t happy with it, unpick the stitches and try again. 3. 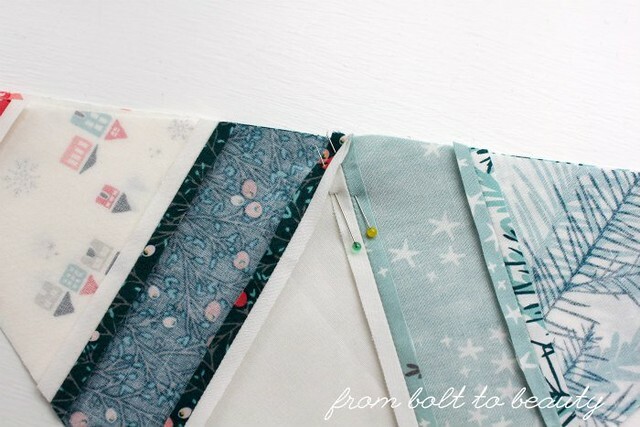 If you like what you see, place the fabrics right sides together again, pin the other intersections (I like using a pin on either side of the matched-up seams), and sew the entire seam. 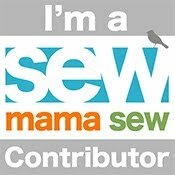 Be sure to sew right over those initial trial stitches from step 1. 4. Open your block up and press. Pretty nice, right? I have another example of this shortcut here.